Priyanka Chopra's Wild Bachelorette Party in Holland. Fashionistas around the world are bound to their screens as we join them for The Grammys Red Carpet star studded appearances. Awards season is a great joy for style hunters everywhere as stars step out in their absolute best ( or worst) looks. The Grammys are notorious for their wild fashion, but this years carpet was pretty tame in comparison to past years. Everyone always wants to know what the women are wearing but lets kick off our top three fashion picks with the men! First up we have Miguel. We’re loving his casual dapperness. He paired his suit coat with a laid back slightly opened button up, and purple pants that were giving us all the Prince vibes we didn’t know we craved. We’re loving the flower broach and the casual incorporation of the crystal incrusted lapels of his suit jacket. Miguel is the ultimate cool guy, he’s casually fabulous. 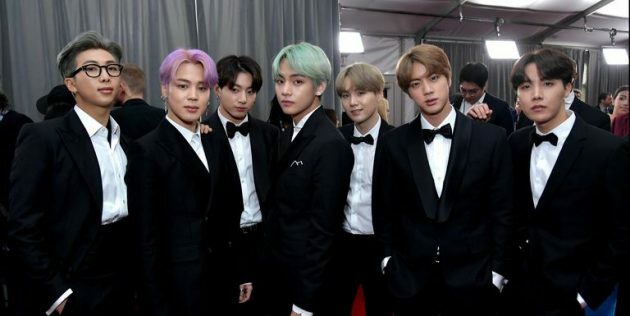 Next on the men’s list lets take a look at the K-Pop sensation that is BTS. These guys came to slay. Can your hair count as your best accessory? The pop of color some of the guys are sporting as their signature really came together with their expertly tailored suits. It wasn’t just one fine, well dressed man, we couldn’t skip on loving all of them. They pulled off a very modern yet timeless approach to dressing for the red carpet, without looking repetitive. You have to love them. We are living for Shawn in this blue suit! We’ve racked our brains for a words with better meaning than dapper, but really we’re still just wiping the drool off of our faces, he looks so great. Everything from the color to the fit of the suit has us enthralled for Shawn. First we have Jada Pinkett-Smith, who isn’t even a performer but she slayed the Red Carpet like she was nominated for Artist of the Year. Okay Jada, we see you. This is giving us such vintage-modern glam vibes we’re dying here. This deep v, along with the color of the gown leaves perfect lines in the dress. Jennifer Lopez can do no wrong. Apparently trying to snag a Pharrell hat moment of her own, we obviously did the only option and jumped right onboard. This Ralph & Russo mint green dress with all its detailing left us heavy breathing. Jennifer has killed the red carpet game since the moment she wore that iconic Versace dress. 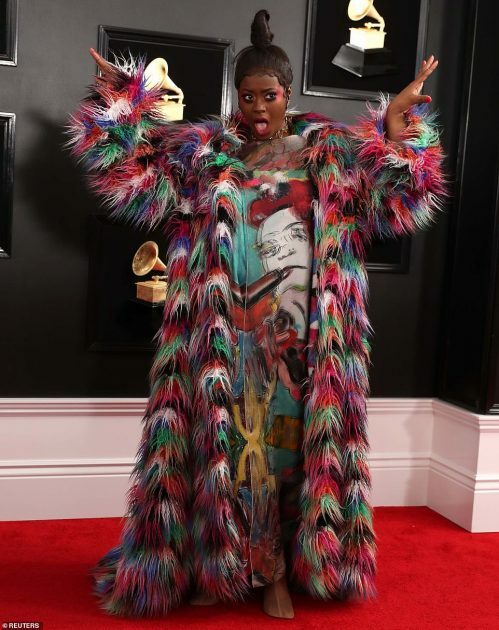 The Grammys 2019 red carpet didn’t stand a chance against her epic wardrobe choices. Now for our final pick we couldn’t pick just one. Our tie goes to Lady Gaga and Camila Cabello. With the ’80s taking a firm hold in fashion our inner 80’s kid reared up and squealed when Gaga and Camila made an appearance. 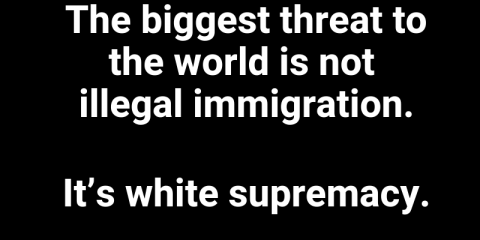 Why you ask? Jem and the Holograms of course. Lady Gaga custom Celine dress is straight out of the beloved cartoon’s wardrobe, albeit a different color. That’s where Camila comes in. Cabello strut onto the carpet in a perfect Armani Privé pink gown, which screamed the 80’s met Jem and made it modern. Complete with “Synergy” level big earrings. Honestly, 80’s aside we’d snag these both for our closets in a heartbeat. Unfortunately every year some poor souls just miss the mark on the red carpet. And while we don’t like to hark on failure….they fail so good it’s delightful. We’re calling it right now, Cardi B’s Grammys get up is about to be the most worn costume of Halloween 2019. The woman came as Ursual from The Little Mermaid. We died. Who let her leave the house and told her this was a cute look? Maybe Thierry Mugler, who showed this look on the runway. Then there’s this train wreck, Tierra Whack. Honey, who let you cut up your grandma’s rug like that? Didn’t anyone ever tell you the curtain scene in ‘Gone With The Wind’ also followed it up with a very fake curtain dress made by professionals? Absolute tragedy, the make up is also horrifying, like 90’s neon clown school came to town. Fire everyone in your glam team STAT. Now, it’s not just ladies who make bad choices, Shawn Everett must’ve gotten his invites messed up, because he dressed for Comic-Con in Cos-Play. We get it the #ForTheThrone campaign has us hype too. 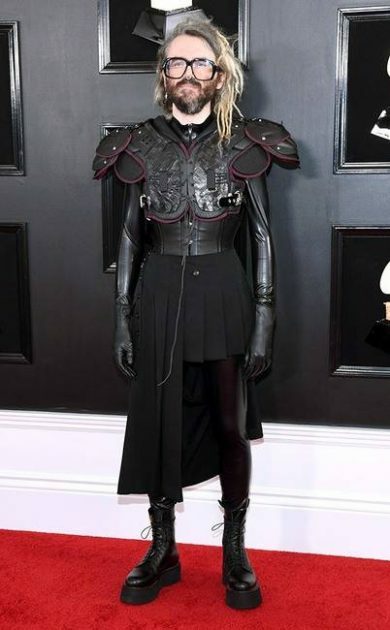 That doesn’t mean you wear Jon Snow to The Grammys. Let us know who your favorites were! Carolina Bonetti is a US Navy Veteran, a freelance writer, and professional actor. A NYC to LA transplant; she's an expert on all things style,beauty, and pop culture. And most importantly a Mac and Cheese enthusiast.